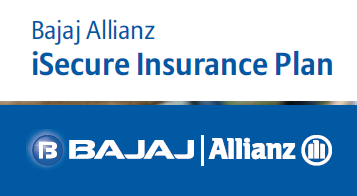 Going to buy a Bajaj Allianz iSecure Insurance Plan? Why should you buy this plan? Is it beneficial? Before you buy this plan, here we have explained everything about it. Let’s have a look. This plan is available for purchase with two options. You can get it online and offline as well. If you choose online policy, you get discount on premium rates. The plan pays sum assured either as lump-sum or in 10 annual installments. This plan pays sum assured on death of each insured life. After the death benefit for an insured partner is paid, the policy goes on to cover the surviving life with a reduced premium rate. However, the decrease of premium rate will depend on age, lifestyle, policy term, premium payment frequency and sum assured of the surviving partner. Moreover, there is no maturity benefit in this policy. It offers an individual alternative to contain spouse under same policy if the subscriber was single at the time of buying the policy. 1. Premium repayment can be availed by high sum assured policies, non-smokers, preferred non-smokers and online purchase. 2. The spouse can be insured at a later date under the current policy. 3. You can change the premium frequency at any policy anniversary. 4. The policyholder can select to get death benefit in 10 equal annual installments to protect a regular income for family. 5. Also, you can enhance the cover by adding a variety of riders. This policy is suitable for the people who are searching to insure self and spouse under the same policy. In addition, young individuals who are looking to get married can also buy it. Bajaj Allianz iSecure Insurance Policy can offer wide protection with riders. In addition, the Joint Life Cover can be significant for a couple. The individuals following a healthy lifestyle are pleased with lower premium rates. Here is the information about Annual Premium options for Smoker under Single Life Policy, Non Smoker under Single Life Policy, and Preferred Non Smoker under Single Life Policy. Here is the information about Rebate on Joint Life Policy. So, what are you waiting for? Opt for Bajaj Allianz iSecure Plan today and secure your and your spouse’s life!